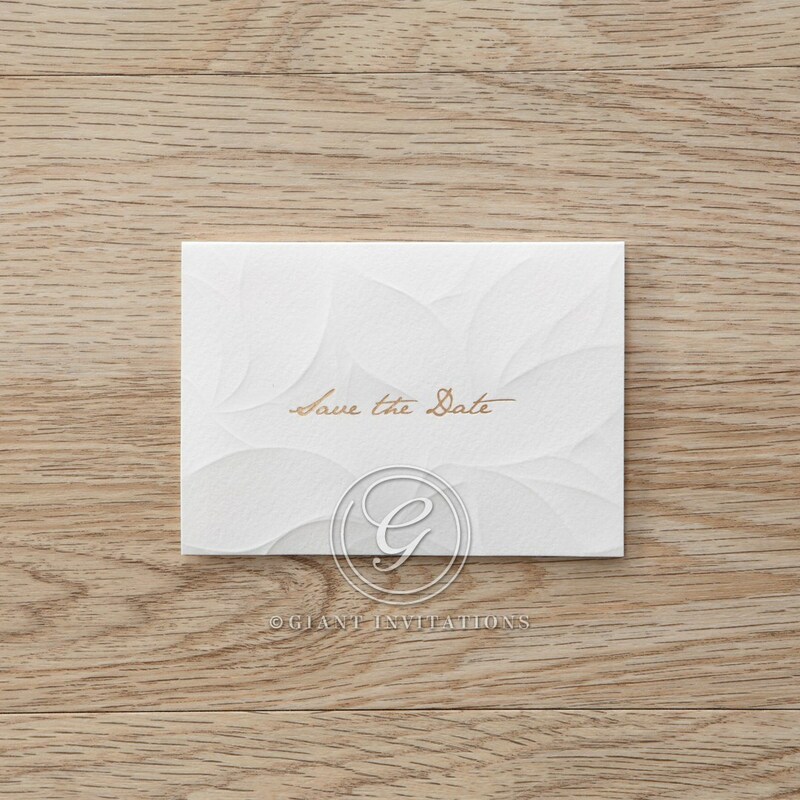 Announce your special plans by sending your guests this charming wedding stationery. Its elegant white and textured body is beautifully adorned with leaf like markings that are embossed onto the stock and adorned with a gold foil stamped finish for the sophisticated lettering on the cover. Once opened, a vibrant background accomplished using a watercolour effect is revealed to grace the inner card that is held in place by the card backing. 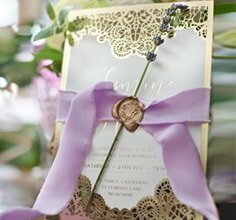 Impressive typography using luxurious raised ink printing is applied to this save the date card for an exquisite finish. The foil stamped text on the front of the card is pre-applied and cannot be altered or removed.